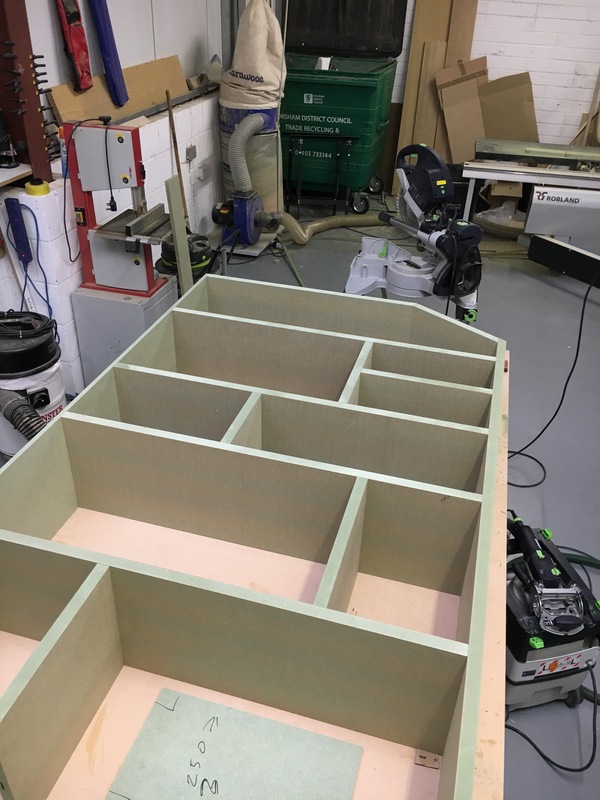 The second section under way for a huge shelving unit that will go on the end wall of a house and wrap around the door. Large shelving project underway, this section is 1/3rd of top section. 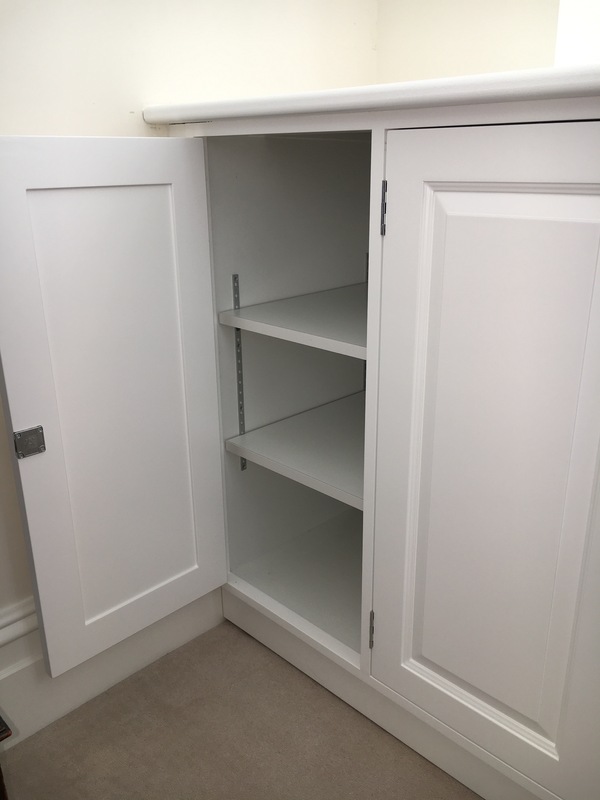 These are the base units for an entire wall of low level cupboards and open shelving whic will wrap round a double door way in Ferring, West Sussex. 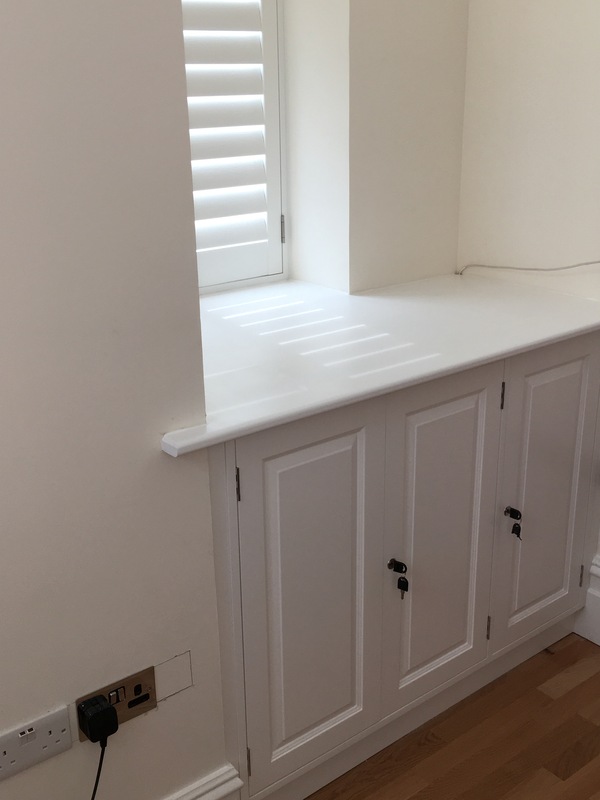 Finished off some fitted cupboards in an office and bedroom today with raised and fielded panel doors, cabinet locks and sagasune shelf Tonk. Both fitted under the window board which has been extended. Got a new sander and decided on the Mirka Deros. What a fantastic machine to use, the results are impressive. Great finish and no dust.